When sight-seeing, you may as well enjoy the ride. Flow down four tumultuously fun rivers that won’t let you escape without getting wet. Hunt trophy fish on the Yampa River or get some elbow room on lesser-known rivers and creeks. Or hop on a lake for a chance at 20” rainbows. You could probably fall asleep to the swaying rhythms of horseback riding, but you won’t want to as the mountains breathe deep excitement into you. 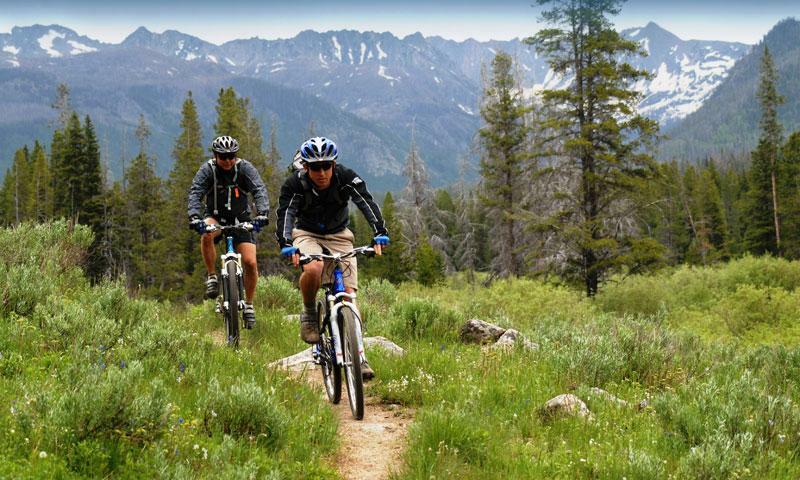 Bring your own bike or rent one for a solo or guided trip to multiple singletrack trails that can take you to the continental divide and back. 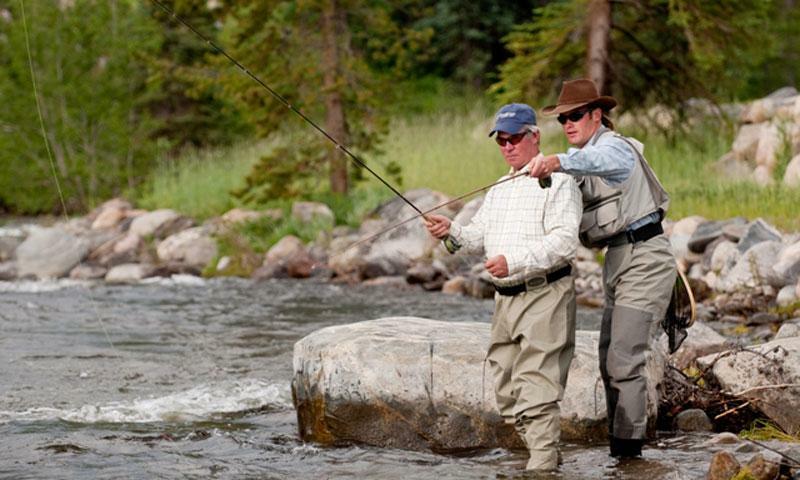 Fall into the rhythm of fly fishing while water laps at your waders or add a dose of whitewater adventure, among many tours available in Steamboat. Summer is a perfect time to visit Steamboat, with the mountains covered in flowers, the streams running full with snowmelt, and everyone in the mood to enjoy the outdoors. 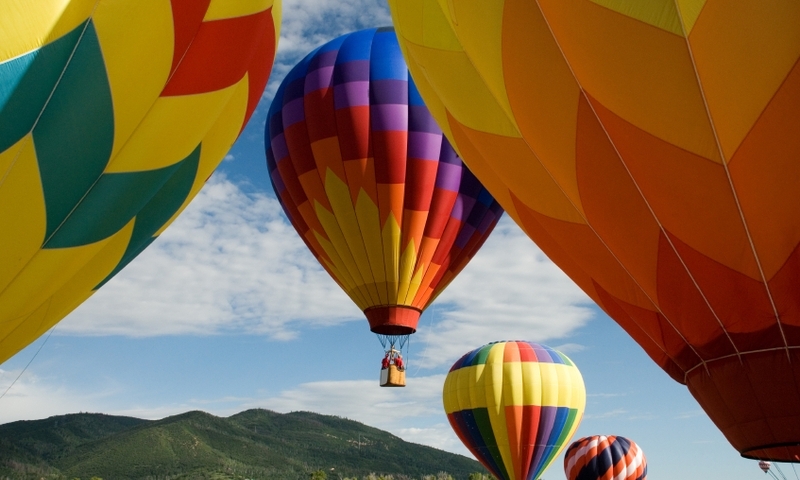 Steamboat Springs has a wide selection of guides and tours that cover activities in the area. Check out these pages to find the one that fits. Not surprisingly, Steamboat has a large number of quality mountain trails to explore. Take some time to cruise the surrounding mountains and soak in the alpine air. Steamboat mountain streams are choke-full of trout and other fish to tickle your tackle. Spend a few days out in the wilderness enjoying the peaceful streams. Whether you're looking for a quick stroll in the woods or a multi-day excursion on some of the longer trails, Steamboat has the scenery and services to make it worth the effort. 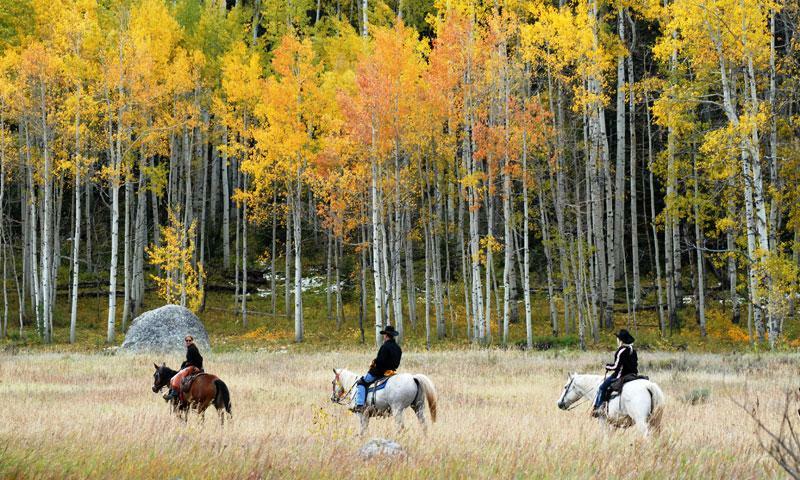 Given Steamboat's roots in cowboy culture, horseback riding is a popular activity, so saddle up for an couple hours and shout, "Giddy Up!" 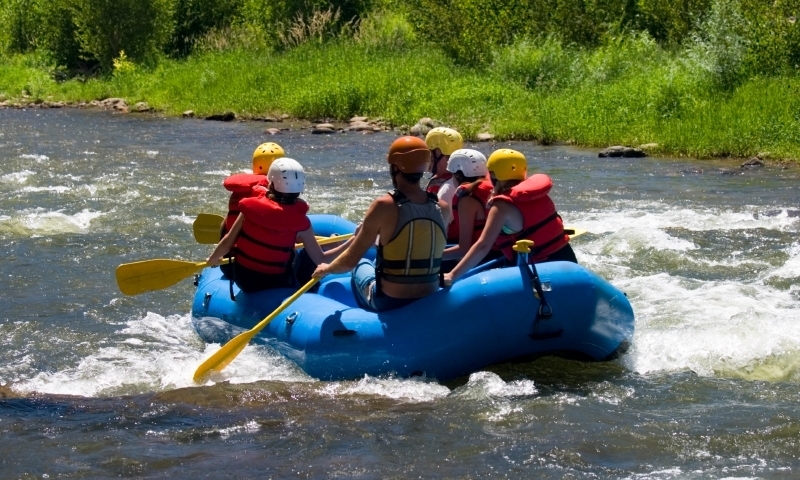 Whether it's the local Yampa River, the famous Colorado, or some of the others, whitewater rafting is sure-fire Steamboat Springs summer fun. Take a boat out onto the nearby lakes for some water skiing, swimming, or maybe even an afternoon barbeque on the water. The private and public lands around Steamboat offer hunters a chance at trophy elk, deer, game birds and others. Hop in a canoe to paddle around a mountain lake or float the Yampa. For kayakers, there's plenty of whitewater to challenge your skills. There's not much that can top a day at the links, surrounded by beautiful mountains and valleys during a Steamboat Springs Colorado summer. Pack your gear for a day out climbing The Domes or Blob Rock, both popular climbing spots close to Steamboat Springs. Plenty of back roads and high mountain passes make for great motorcycling. Take a pick from one of the established routes or make your own. 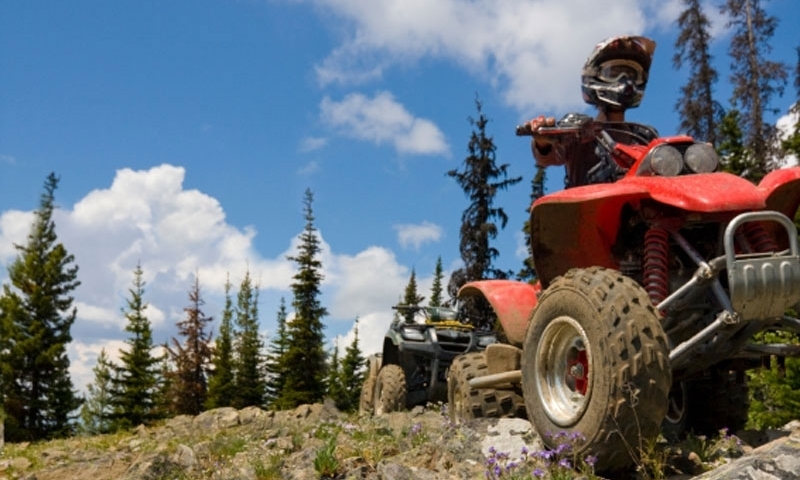 With so much land available in the Routt National Forest and other protected areas, there's plenty of opportunity to get out in your favorite offroad vehicle. Summer days can get warm in the mountains, but luckily the cool Yampa River runs through town. Beat the heat the locals' way - on an inner tube. Ride up to the top of Mount Werner on the Steamboat Gondola. The views are fantastic, so make sure to bring a camera. Kids and adults can both enjoy the Alpine Slide at Howelsen Hill. Hold on tight for the descent, then head back up to do it again. Kids bring a special dynamic to any activity, with their energy and wonder, so don't forget them at home!